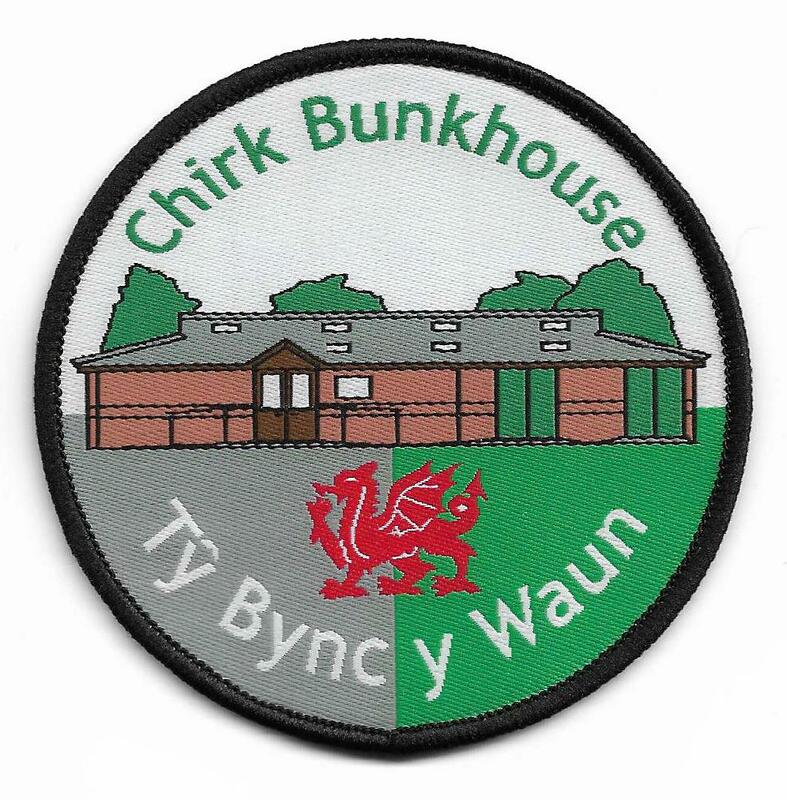 The following information will help make your stay at Chirk Bunkhouse a comfortable and enjoyable one. 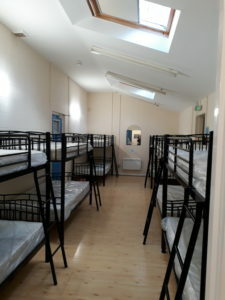 We can sleep 24 in bunk beds – in three rooms holding 12, 4 and 8 respectively. 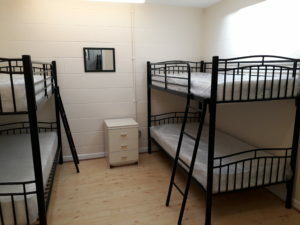 One bunk bed can be converted into two single beds. 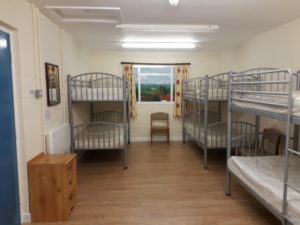 You may bring extra camp beds to put up in the main hall if required. 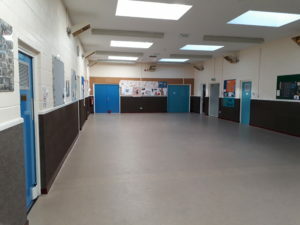 The maximum number of people allowed to sleep in the main hall is 30. 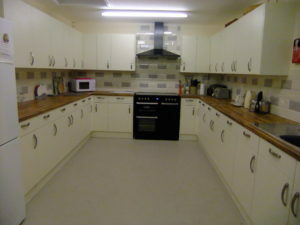 The kitchen is fully equipped including large electric cooker, microwave and fridge/freezer, and all utensils, except for tea towels and hand towels. You may wish to bring a bottom sheet so that the sleeping bag does not slide on the mattress cover. 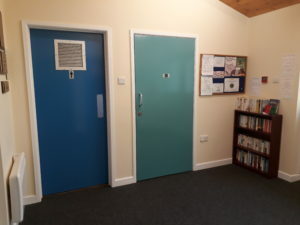 Bookings can be made either by email – chirkbunkhouse@gmail.com or bookings@chirkbunkhouse.co.uk or by phoning Lynne on either 01691 772512 or 07974930129. 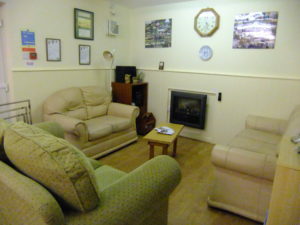 Once a date has been agreed, you will receive a Booking Form and Conditions of Hire. To confirm the booking you need to return the form within two weeks together with your deposit which is non refundable. Your booking will then be confirmed. We hold an Education Pass to National Trust properties in the area including Chirk Castle. For Scouting and Guiding groups there will be no charge for admission. 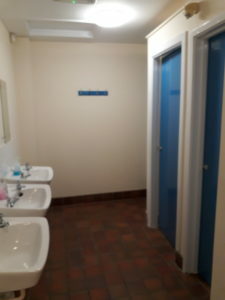 Prior arrangement must be made with the Castle staff direct stating that you are using the Chirk Scout and Guide pass. Please note: At Chirk Leisure Centre Welsh children can swim for free during main school holidays and subject to certain times. This must be pre booked with the Chirk Leisure Centre Tel. No. 01691 778666. Badges are now available at £1.00 each and can be ordered when completing the Booking Form and collected during your stay. Alternatively, they are available by post (plus postage charge depending on number being ordered). There are parking facilities for up to 8 cars within the grounds. If you have any queries check us out on the web site or please do not hesitate to contact us. PLEASE NOTE: We request that you let us know of any damage to the Bunkhouse or equipment. You may be asked to pay for any repair or replacement costs due to damage or loss caused while the Bunkhouse was hired to you.